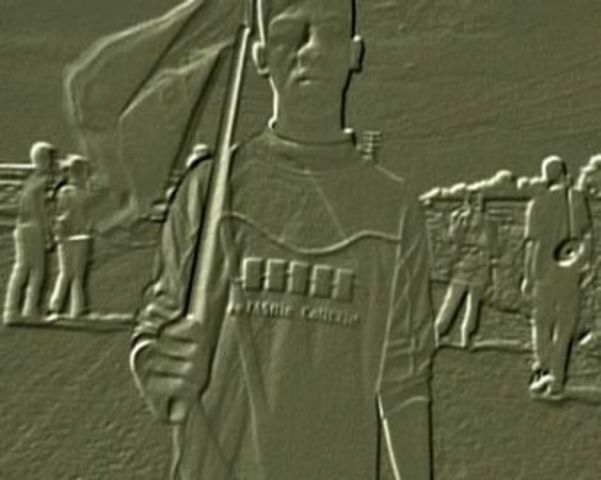 This exhibition of moving image works by the Amsterdam-based, Isaeli-born artist Yael Bartana explores how social ritual and everyday activities promote national and cultural cohesion. 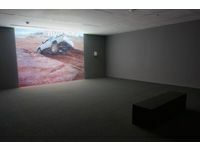 The works selected by curator Helena Reckitt, in tandem with the artist, capture the friction between public and private activities and identities, and that highlight the military's pervasive presence, group behaviour amidst political uncertainty, and the conquest, settlement, and defense of contested land. The exhibition also also included works that focus on forms of critique and protest enacted by residents of this militarised and hyper-nationalist nation-state, revealing a far-from homogenous or consensual range of subjectivities and political affiliations at play. 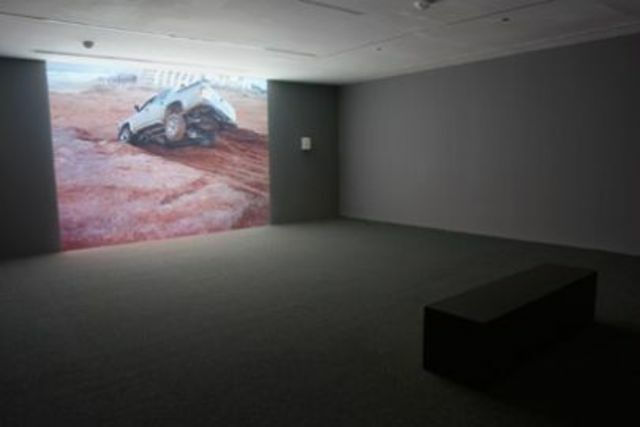 In the moving image works included, Bartana makes the everyday strange by editing, manipulating and slowing down footage in order to isolate moments of ambivalence, resistance or over-compensation that undercut simple national and cultural affiliations, that the artist hopes might “provoke honest responses and perhaps replace the predictable, controlled reactions encouraged by the state.” Her approach to the quotidian has been likened to Polish-Canadian writer Eva Hoffman’s notion of "amateur anthropology. “ Yet while Hoffman’s focus is on the immigrant, who notices details that those who were raised within a culture take for granted, Bartana occupies the position of a national, whose passionate interest in her country of birth has been sharpened by her choice to live outside Israel, in Amsterdam, since 2000. Kings of the Hill (2003) depicts men driving their trucks and SUVs in the coastal hills near Tel-Aviv, watched by friends and family members. Motoring up and around the sandy dunes, their vehicles often lose traction and slide backwards. As night falls it is hard to tell whether we are witnessing familiar displays of macho prowess or something more sinister. The men's motors rev in Sisyphean futility, and seem to reflect the seemingly intractable permanence of Israel’s military mentality, as the silhouettes of these anonymous male figures are framed against the sky. 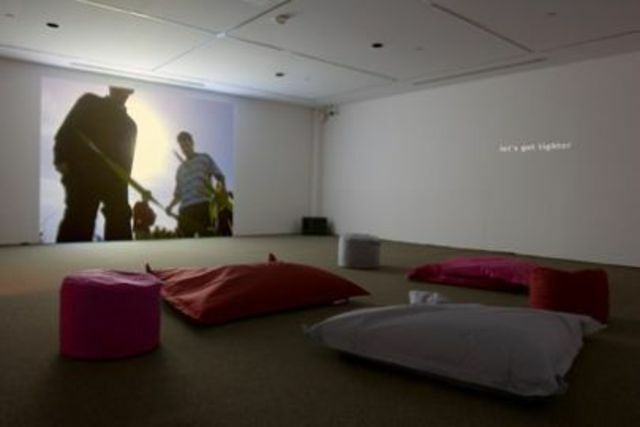 The two-screen projection Wild Seeds (2006) with its Biblical echoes of seeds growing in the desert, shows a group of young Israelis playing a game they have created. Named "Evacuation of Gilad's Colony," the game evolved from the forced withdrawal of Jewish settlers from the Occupied Territories and the violent confrontation between soldiers and settlers at Gilad's Farms in 2002. 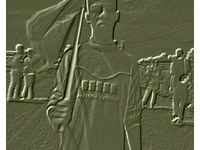 The teens themselves are third-generation Zionists who oppose Israeli's occupation of the West Bank. Two of the players act as soldiers while the others attempt to resist them. Filmed in the incongruously beautiful mountains of Prat's Settlement, Judean hills, one screen presents footage of the group’s antics while the other translates their words and sounds into English text. 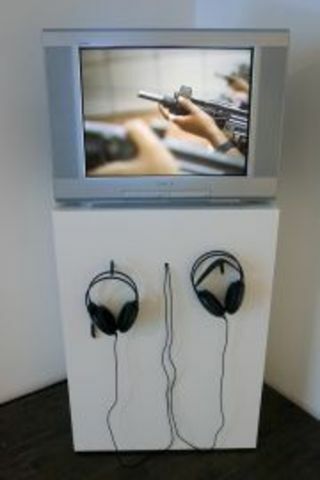 Wild Seeds suggests the impact that political violence and its resulting instability have on people's psyches and behaviour, a theme that carries through much of Bartana's work. Moving between manic playfulness and black humour, the game becomes a contemporary chronicle of a recent event that re-enacts the trauma of forced exodus. The exhibition was accompanied by a discussion, ‘Contemporary Art in/out of the Middle East,’ which responded to the issues raised by the exhibition, on 21 March. Moderated by Professor and Associate Chair at the Visual Studies Program at the University of Toronto, filmmaker and co-founder of V-Tape Lisa Steele, speakers were Vicky Moufawad-Paul, Executive Director of the Toronto Arab Film Festival and Exhibition Coordinator at A Space; bh Yael, a Toronto-based filmmaker, installation artist and Associate Professor and Chair in Integrated Media at OCAD; and Carol Zemel, Professor of Modern and Contemporary Art History at York University. 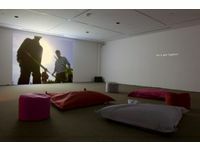 The discussion focused on the tensions and contradictions of the modern Israel that Bartana pictures, and on the efficacy of the ambivalent stance expressed in her work. 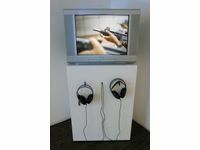 Carol Zemel subsequently wrote a paper on Bartana’s work, ‘Conflict and Ambivalence in Video Art by Yael Bartana,’ which she presented at the Association for Jewish Studies, Boston, 2010.